Howard Zinn has 1 media appearance. Howard Zinn discusses A People's History of the United States. href="/author/zinnhoward">Rebecca Stefoff is the author of more than 100 nonfiction books for children and young adults, and she has adapted several best-selling history books for younger readers. Harvard Book Store is excited to host historian HOWARD ZINN and cartoonist MIKE KONOPACKI as they present their graphic adaptation of Zinn's bestselling grassroots history book, A People's History of the United States. Since its landmark publication in 1980, A People’s History of the United States has had six new editions, sold more than 1.7 million copies, become required classroom reading throughout the country, and been turned into an acclaimed play. More than a successful book, A People’s History triggered new thought in the way history is told, displacing the official versions with their emphasis on great men in high places to chronicle events as they were lived, from the bottom up. Howard Zinn's book You Can't Be Neutral On A Moving Train: A Personal History is currently available from LibraryThing Early Reviewers. Howard Zinn's book You Can't Be Neutral On a Moving Train: A Personal History was available from LibraryThing Early Reviewers. Howard Zinn is currently considered a "single author." If one or more works are by a distinct, homonymous authors, go ahead and split the author. 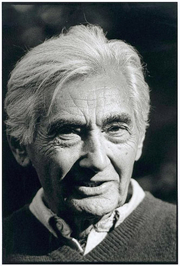 Howard Zinn is composed of 7 names. You can examine and separate out names.